You can find lots of useful information based on kitchen, you are also able to find kitchen products, kitchen design tips and other related information in this section. 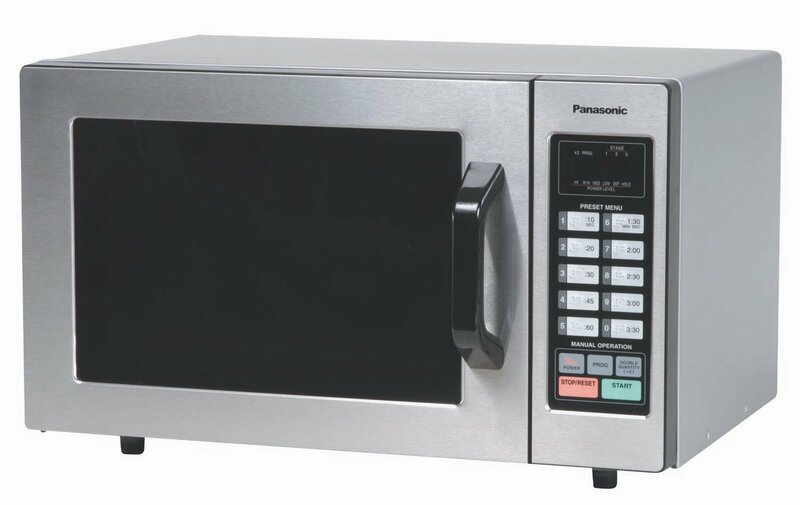 Ideal for full-service and fast-food restaurants, convenience stores, offices, and other business-related settings–or even heavy home usage, this NE-1054F commercial microwave oven by Panasonic comes loaded with an array of useful features. 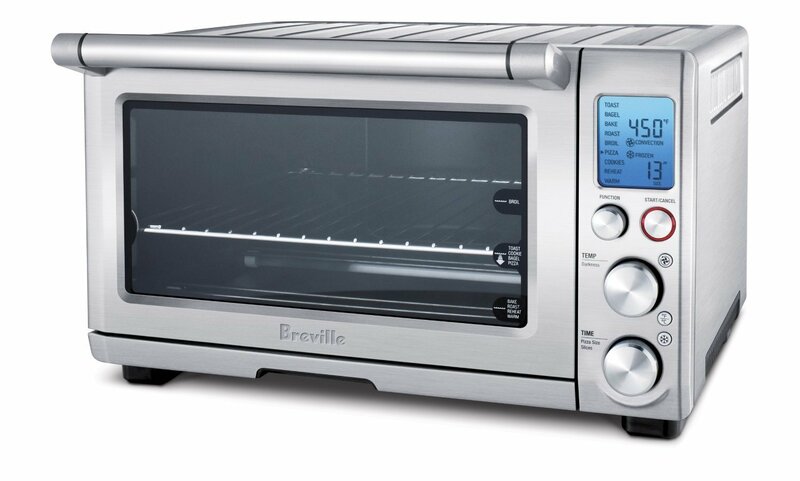 Equipped with 1000 Watts* of power, the microwave oven quickly heats a variety of menu items. 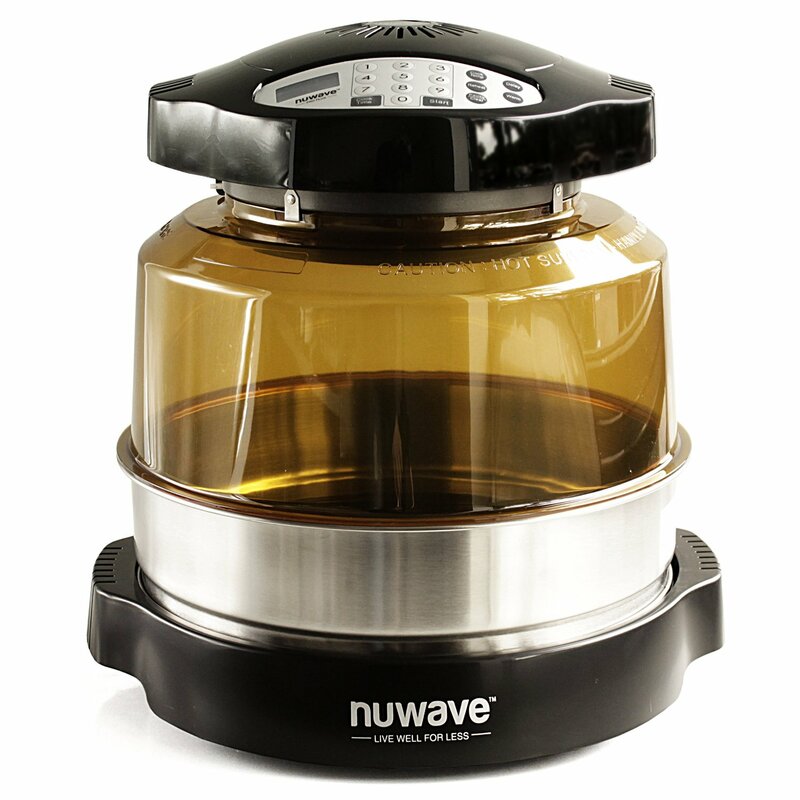 It also offers a convenient 0.8-cubic-foot capacity that easily accommodates dinner plates, large casserole dishes, glass bowls, coffee mugs, and other common kitchenware used for heating and cooking. Unlike other models that use a side or top energy feed, the NE-1054F microwave oven features a bottom energy feed system that allows energy to travel less distance from the heat source to the food, which means faster results and ultra-efficient operation. Another thoughtful design detail includes the microwave oven’s unique door handle. Without the hassle of moving parts like those found in push-button doors or trigger-activated handles, the oven’s “Grab & Go” door handle offers fast performance and long-lasting durability–perfect for high-usage applications. To get things cooking, simply make a selection from the electronic touch-control keypad, which comes with 10 programmable memory pads and a 20-memory capability. 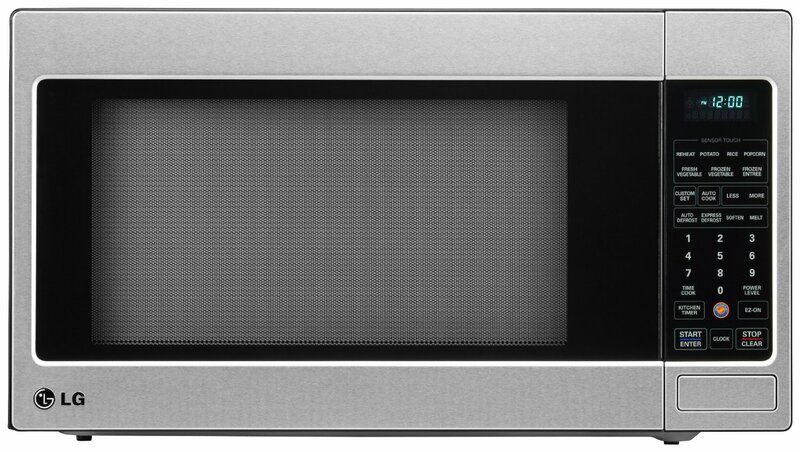 The NE-1054F microwave oven provides a 99:99 minute capacity and 10 preset time settings ranging from 10 seconds up to 3:30 minutes. There’s also a program list/cycle counter, six power levels to choose from, and two- and three-stage cooking, depending on the task at hand. Even more, the oven’s touch-control keypad comes with braille for enhanced accessibility and ease of use. Along with the Good Housekeeping seal of approval, the NE-1054F microwave oven also provides an anti-theft component, tone control, self diagnostics, chef technical support, and a see-through oven door and an interior oven light that allow for checking on food at a glance. With its sleek-looking silver wrap and stainless-steel front panel and door, the NSF-approved oven offers a sleek-looking addition to any business setting. 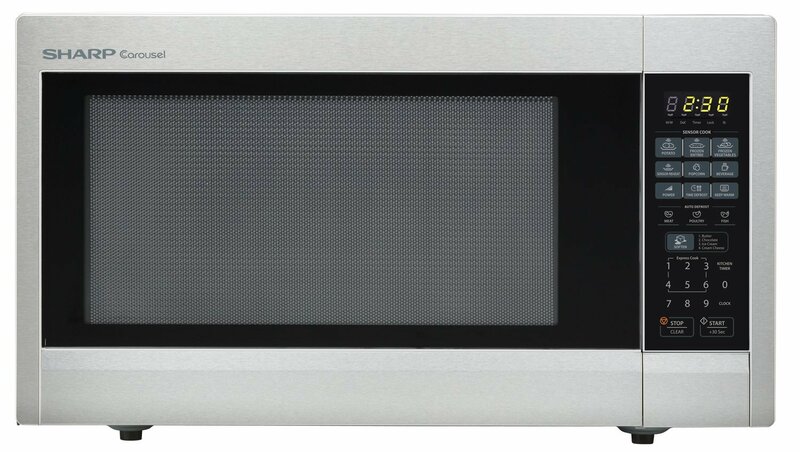 Taking up minimal space on a countertop or table, the compact NE-1054F commercial microwave oven’s exterior measures 20-1/8 inches wide by 16-1/2 inches deep by 12 inches high, while its interior cavity measures 13 inches wide by 13 inches deep by 8-1/16 inches high. This updated kitchen classic enhances the cooking process by evenly distributing heat and locking in the optimal amount of moisture. 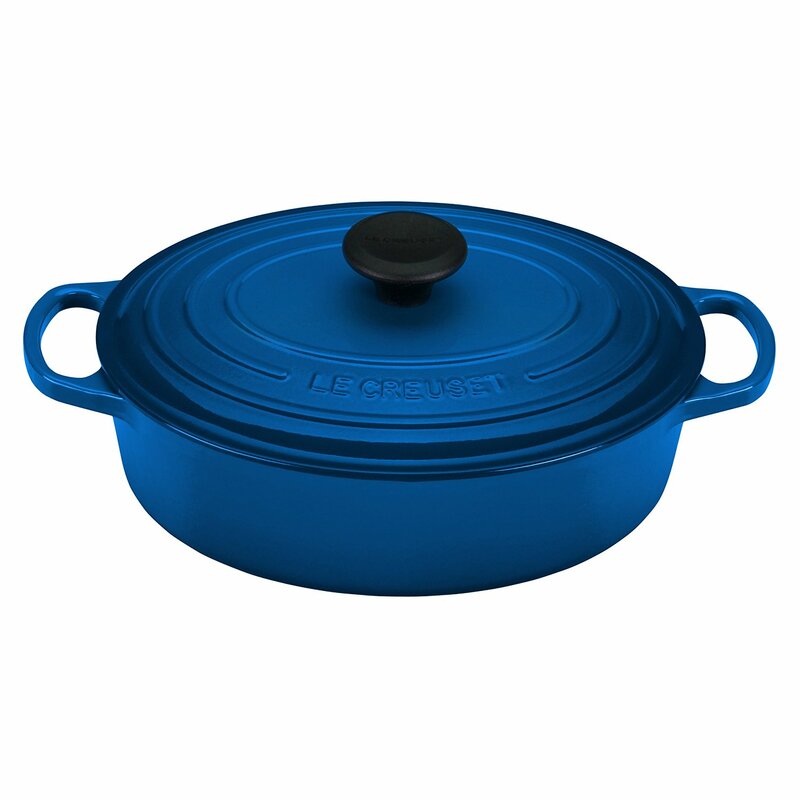 With ergonomic handles and an advanced interior enamel that resists chipping and cleans easily, Le Creuset’s French ovens, or Dutch ovens, blend the best of the past with the latest innovations in comfort and functionality. 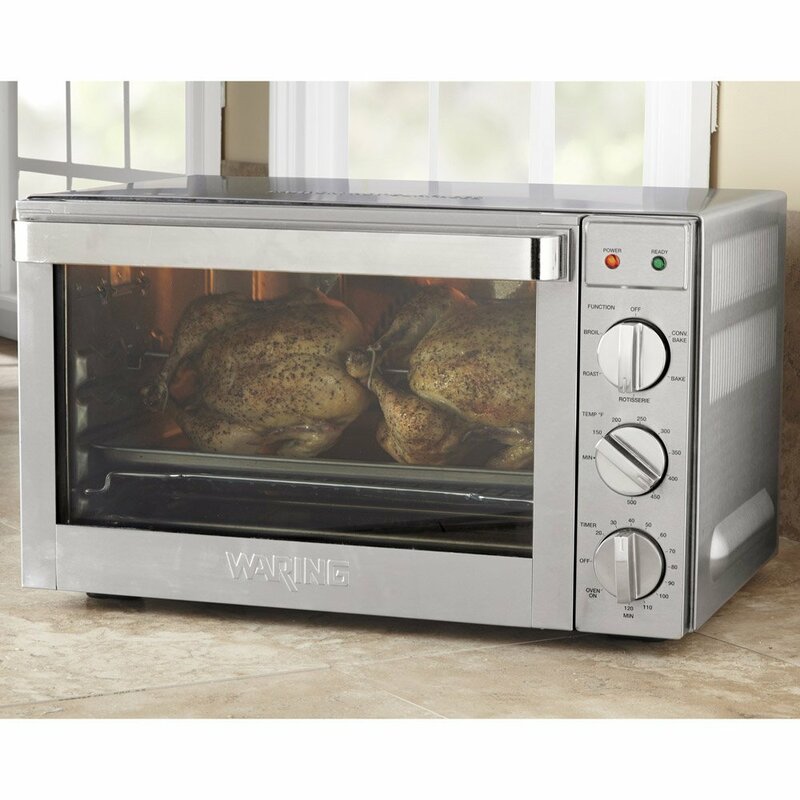 Bake, convection bake, roast, broil and rotisserie with the Waring 1.5 Cubic Foot Convection Oven. This large stainless steel oven accommodates a half-sheet pan and includes all of the accessories you’ll need for your countertop culinary creations.